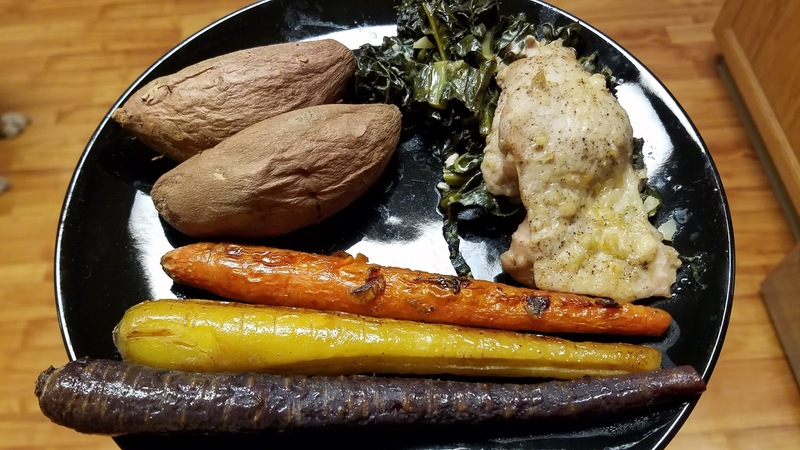 This is one of my favorite and easiest go to meals to prepare AND it is healthy and delicious. Preheat the oven to 375. Slice a bundle of kale and place it in the bottom of a baking pan. Sprinkle with fresh garlic. 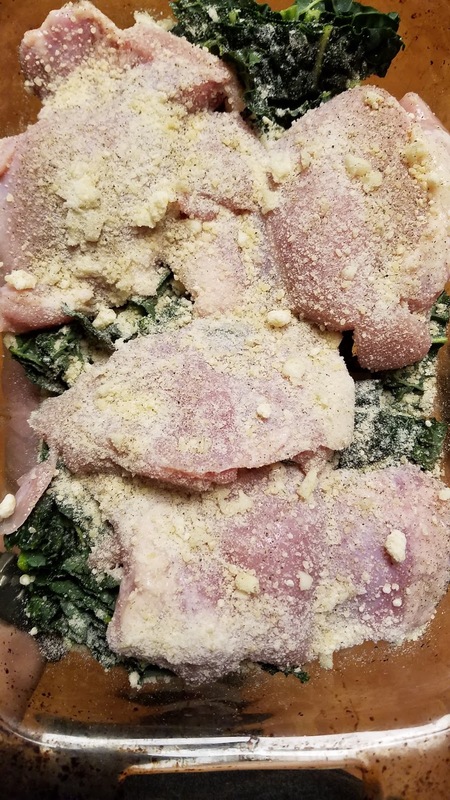 Lay chicken breast or thighs (fish or pork would work as well) over top the bed of kale and top with parmesan cheese, pepper, more fresh garlic and parsley. Cover with aluminum foil and bake for 15 minutes. Increase heat to 400 degrees, remove foil and cook until the meat is thoroughly cooked through and the top starts to brown slightly (depending on the thickness of your meat, this may take more than 20 minutes). The flavors of the cheese, meat and garlic will infuse with the kale and give it a wonderful flavor. Enjoy!